A Bergen County, New Jersey jury in November rendered a $1.3 million dollar verdict against a cooperative corporation and its management company for failing to remediate a longstanding water problem that led to mold growth and exposure for a Fort Lee couple. The owners of the penthouse apartment at The Pembroke, a 22-story luxury co-op in Fort Lee, New Jersey, H. Nathan Yagoda and Myrna Yagoda had complained to the cooperative’s board of directors and building manager for more than five years that the roof above their unit was leaking. 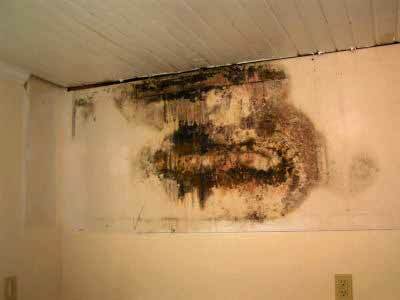 Water came into four rooms of their apartment and created damp, unsafe conditions. In 2006, they were forced to move from the penthouse due to extensive microbial contamination from mold, bacteria and fungi growth. On November 9, 2007 the court entered a judgment against 2077 Tenants Corporation (The Pembroke cooperative) and CM3 Management in connection with a trial that lasted more than four weeks. The jury in the case had previously rendered a verdict against the Board of Directors of 2077 Tenants Corporation and against its building management, CM3 Management Corporation, in excess of $1.3 million dollars. The eight-member jury determined that the board as well as their building manager were negligent in failing to repair the roof leaks in the penthouse apartment. The jury also determined that the Yagodas were entitled to a return of their maintenance fees because of breach of the proprietary lease by the Pembroke board. They were awarded money damages to cover the cost to repair, replace or clean personal property which was damaged by mold and leaking water. Who Is the ‘Prevailing Party’?